Who is really bullying who here? Kathy Griffin and Lawrence O’Donnell chatted last night about Sarah Palin calling Griffin a bully and has-been, along with taunting the comedian to “Come up to Alaska” earlier in the week. Griffin points out that as a lifetime achievement award recipient from the anti-gay bullying organization, The Trevor Project, she knows a thing or two about real bullying, and has spent much of her life working against it. Kathy deftly handles Palin’s graceless taunting, and points out that the only one of them that should be labeled a has-been is Palin herself. The former governor quit halfway through her term to become a paid correspondent on Fox News and a reality television star on The Discovery Channel. Bravo, Kathy. You go girl. 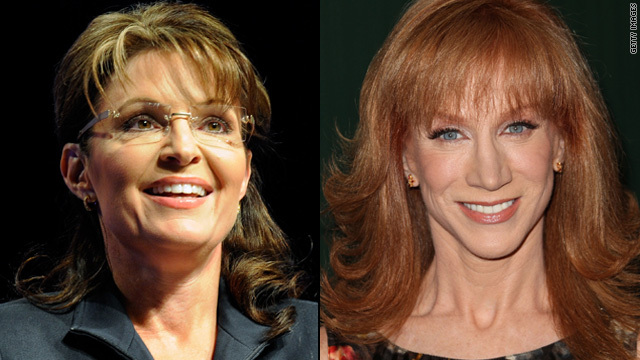 We hardly need to ask, but who do you think came out on top: Palin or Griffin?